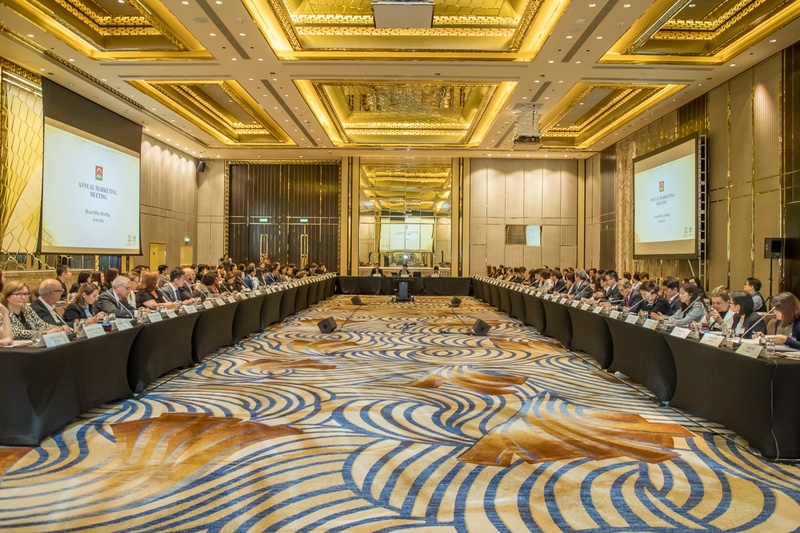 Macao Government Tourism Office (MGTO) held its Annual Marketing Meeting 2018 in Macao from 19th to 21st June. 46 market representatives of MGTO, consultants and representatives of promotional entities came from different parts of the world to report their achievements at work and discuss the marketing plans to unfold next year, with a focus on creative strategies combined with gastronomic elements to promote travel to Macao and its new status as a Creative City of Gastronomy. The Macao Tourism Mascot named “MAK MAK” will become part of their promotions around the world to attract visitors from different source markets. 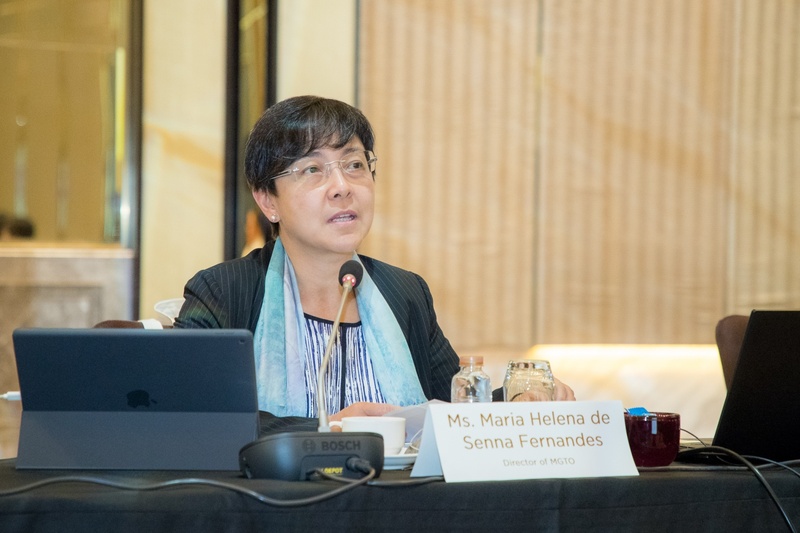 During the meeting, MGTO Director Maria Helena de Senna Fernandes briefed the representatives on the latest tourism situation in Macao and the lineup of major local events in the second half of 2018, which includes the 29th Macao International Fireworks Display Contest, Global Tourism Economy Forum･Macao 2018, the 18th Macau Food Festival, the Macao Light Festival 2018 and the 3rd International Film Festival & Awards．Macao. 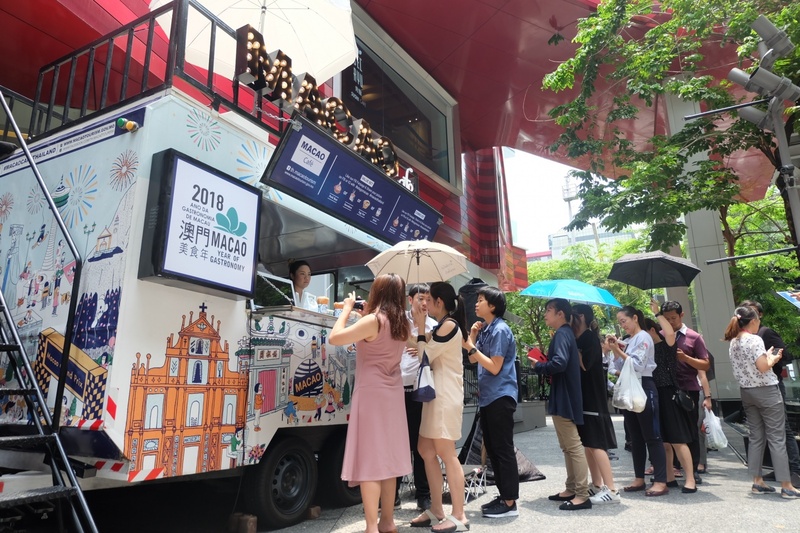 Director also provided an update on the latest development of Anim'Arte Nam Van and the promotional campaign tailored to spotlight Macao’s designation as a Creative City of Gastronomy. The Macao Tourism Mascot “MAK MAK”, a character newly born this April, was introduced to participants at the meeting. 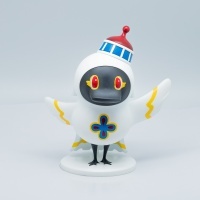 Its image will appear in different promotional materials, tourism events and overseas promotions. MGTO encouraged all market representatives to combine Macao’s gastronomic elements with creative ways to brand Macao further as a newly-designated UNESCO Creative City of Gastronomy by a wide variety of destination promotions, and leverage the brand-new image of “MAK MAK” to draw visitations to Macao from different markets. Given the opportunity in the meeting, MGTO invited the Director of Transport Bureau, Lam Hin San, to present the transportation plan for the Hong Kong-Zhuhai-Macao Bridge to representatives from around the world, who expressed their interest in the tourism opportunities brought by the inauguration of the bridge in the future. They pay close attention to the latest news about the bridge, with the hope to seize the timing to further promote travel to Guangdong, Hong Kong and Macao in one trip in different markets. MGTO exhorted its representatives to bring more tour operators to offering new multi-destination itineraries and products under different themes, in order to draw more visitors to the Guangdong-Hong Kong-Macao Bay Area. During the three-day meeting, representatives from different markets evaluated the results of their work over the past year and reported their current projects and progress of task preparations for the next half of 2018. They also discussed new marketing plans to carry out in 2019. Experiences were shared and opinions exchanged among MGTO’s officials and market representatives with regard to the marketing plans. For years, MGTO has been branding Macao as an attractive destination and disseminating the latest travel tips at home and overseas through the help of various market representatives, consultants and promotional entities, by different measures such as organizing large-scale promotional events, participating in travel fairs, organizing destination presentations and networking sessions for trade, as well as bringing familiarization groups to Macao.